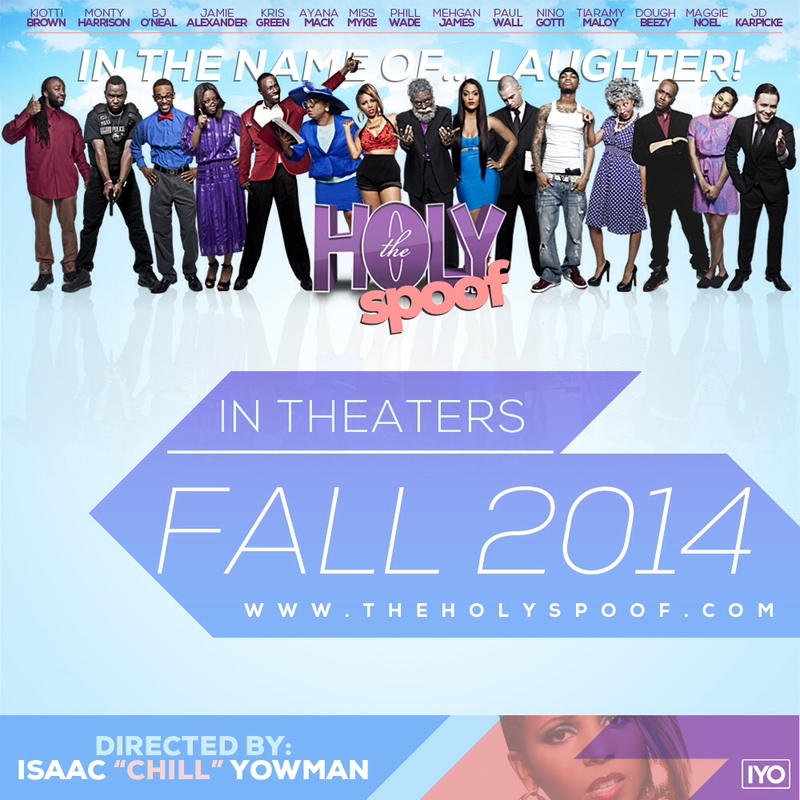 The Holy Spoof, Directed & Written by Isaac “Chill” Yowman, is a short comedy film based on the hilarious things and thoughts that happen in church. Throughout a typical Sunday imitation service a chain of humorous events and dialog. This IYO Visuals production has potential to break barriers, as its slated to be premiered in selective theaters nationwide. The lead character and co-writer Phill Wade plays the aged southern pastor Curtis Perkins The Third whose messages are pure comedy to say the least. The short is also starring multi-platinum hip-hopper Paul Wall, TV Personality, Recording artist and TV personality Miss Mykie most notable for hosting 106 & Park, Reality Star Mehgan James of Bad Girls Club, Professional Championship Golfer Maggie Noel, Veteran Radio Personalities Kiotti, Ayana Mack & Kris Green plus emerging rapper Doughbeezy. The film also has a plethora of new emerging talent from the nerdy BJ O’Neal, elderly Tiaramy Maloy, The cop gone wild Monty Harrisonand many more. Scheduled to show in selective movie theaters this Fall, this project seems to be very innovate and destined to set a new bar for indie filmmakers.